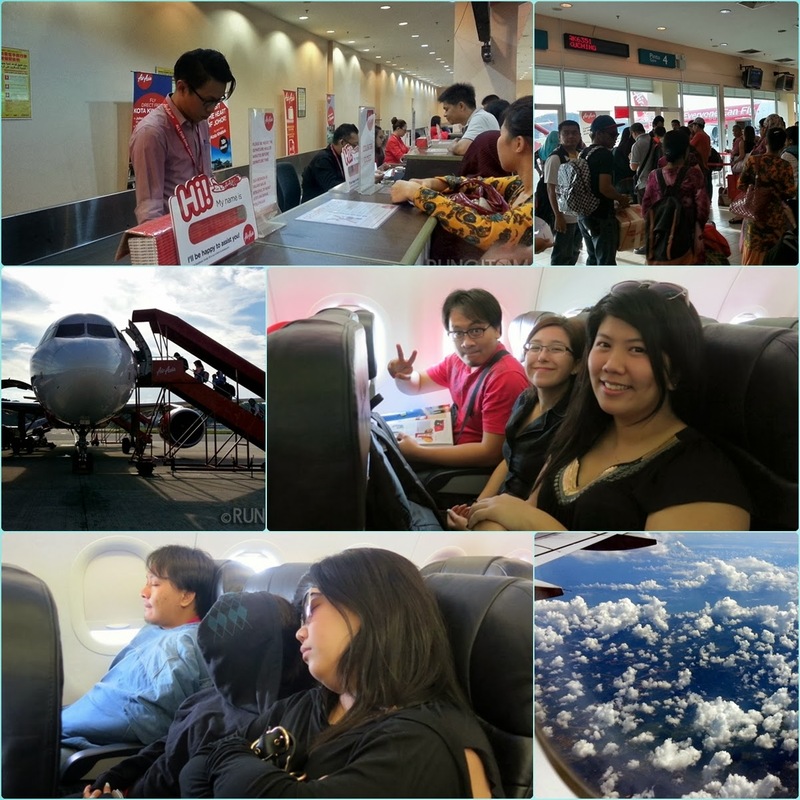 2014 is Visit Malaysia Year, and Air Asia started us off early when we were invited to board their inaugural direct flight from Kota Kinabalu, Sabah to Kota Bharu, Kelantan late last year. Clockwise from top: Air Asia Check-in Counter in BKI, Departure Gate, The very first flight from KK to KB!, Three quarters of the Wolfgang super excited!, Then we remembered it was still way too early in the morning., Aerial view of Kelantan. Having been to Kota Bharu once before, I wasnt too worried about the cultural differences, but packed appropriately anyway. For those not in the know, Kelantan is one of the most Islamic states in Malaysia, and as a result one of the more conservative. Short skirts and tank tops are not encouraged when visiting, but that doesnt mean you have to wrap yourself up completely! Upon arrival at the Sultan Ismail Petra Airport, Terminal 2, we were given a warm welcome from the minute we stepped off the plane. We had the honour of flying with Yang Mulia Dato' Seri Tengku Dr Zainal Adlin Bin Tengku Mahamood, who is the friendly Chairman of Sabah Tourism Board, and was seen joking with some of the (cute) stewards. 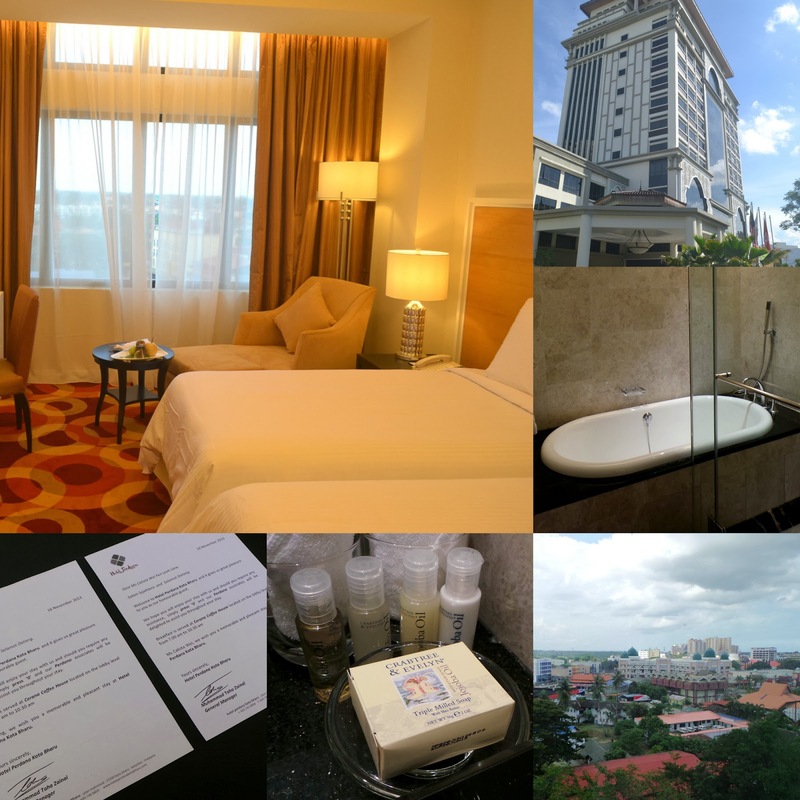 The newly-renovated Hotel Perdana Kota Bharu stands in the heart of the city centre, is within walking distance of Stadium Sultan Muhammad ke-IV and strategically located within a commercial district, where you can easily access government offices, shopping areas, hospitals and local attractions. The hotel is only a 15 minute drive from the Sultan Ismail Petra Airport. 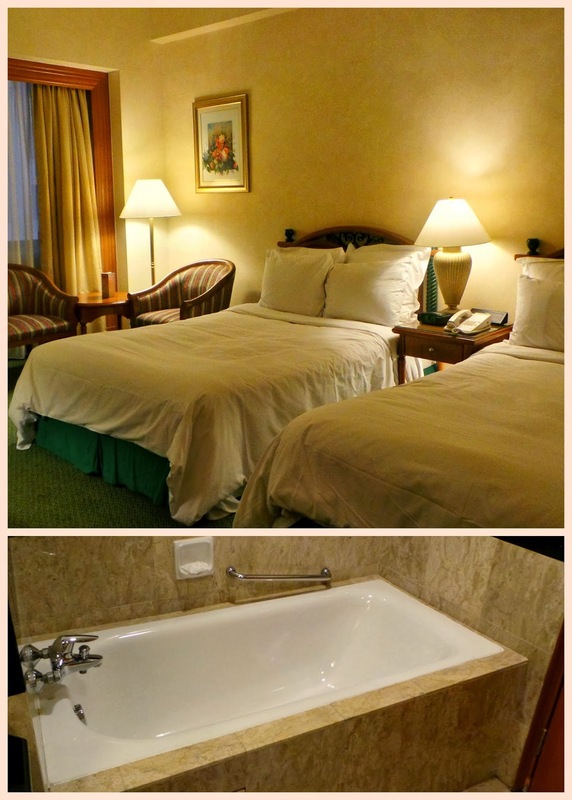 Personal Review: Beautiful hotel, well taken care of (hopefully they maintain this, as it's actually newly renovated), comfortable beds, helpful staff and love the water pressure (important when you need to wash long, thick hair like mine haha)! 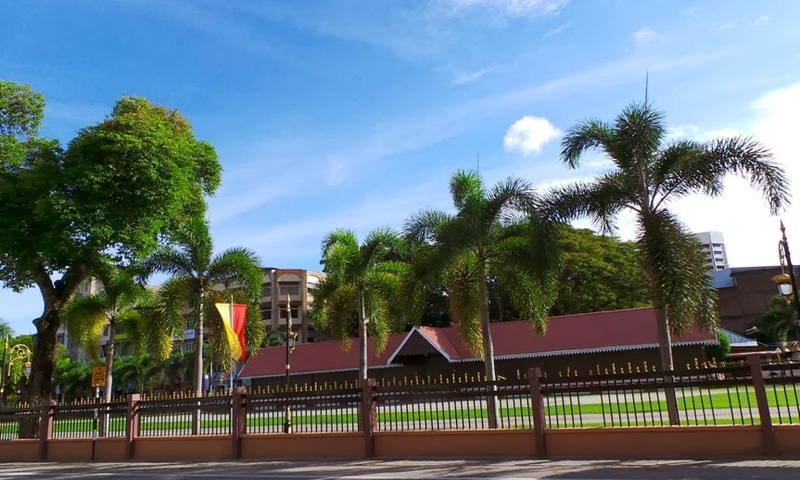 Situated in a prime location in Kota Bharu, the Renaissance Kota Bharu is within easy reach of the Central Business District, the airport, shopping areas, restaurants and entertainment. Personal Review: An older hotel, but has a real cosy feel about it. The bee / honey gallery. We arrived pretty late, so photo-taking wasnt exactly optimal outside! If experiencing true Malay hospitality, culture and customs is what you’re looking for during your trip to Kelantan, this is the place to be. Dormitories by the riverside, built around native flora and fauna, Min House Camp offers 2 day 1 night packages (additional nights optional) during which you will experience river cruises in a traditional boat to collect clams, firefly-watching after dark, local music and traditional costumes, make traditional handicrafts, traditional meals, a unique bee gallery, homemade honey and more. Personal Review: Only went for a visit, not to stay so can't honestly comment on the rooms, but food was good, and the whole experience was definitely unique. I enjoyed going down the river, even though there werent many fireflies due to the full moon. They light up the river banks like Christmas trees! Before we set out: Ashman from Air Asia was in the trishaw just behind me! All these sites are within walking distance of each other, so we just took the trishaw to our first location. Riding past Sultan Ismail Petra Arch. 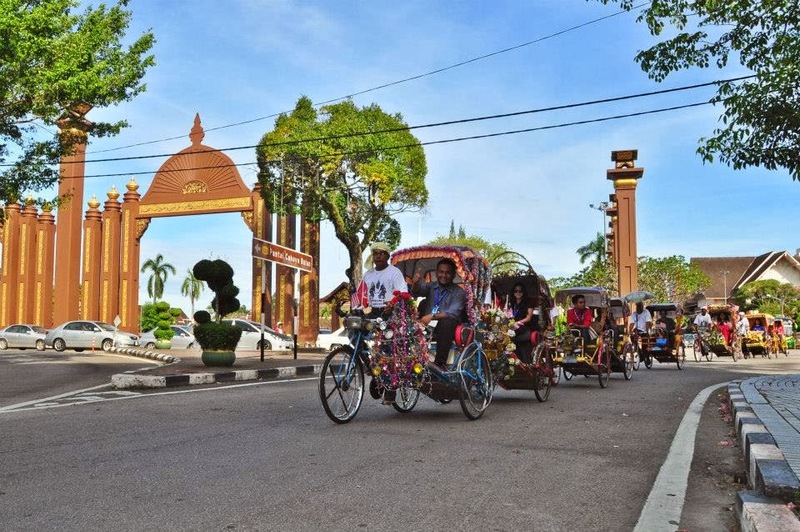 Cool fact: trishaws are known as "teksi" here, whereas the normal taxis are "kereta sewa". First stop: Tambatan D'Raja Kota Bharu Observation Tower. Directly overlooks the sea. War Museum (Memorial Perang) aka Bank Kerapu. Group photo with all the participants and the lovely trishaw drivers! Traditional Shadow Play has long been a part of Kelantanese culture. As with most traditions though, it’s also a dying art, with cinemas, TVs and the internet taking over the popularity vote when it comes to drama. 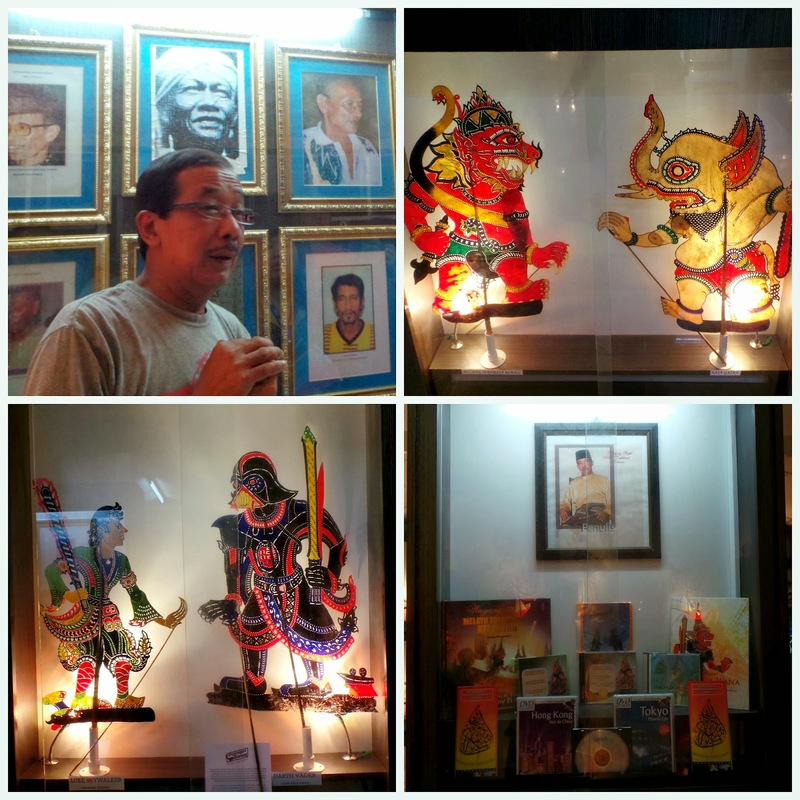 Pak Daim is one of the few lovers of the art who has dedicated his life to preserving it. After watching one of the performances, I’d say it’s definitely worth the time spent, although my one complaint is that non-Kelantanese speakers won’t particularly understand the dialogue. Clockwise from top: The drawings, colouring station, a crafter at work, and behind the scenes. With a dozen musicians and several puppeteers behind the screen, shadow play is truly an underappreciated art form. The puppets, which are made from animal hides, are intricate pieces which take time and skill to bring to life! 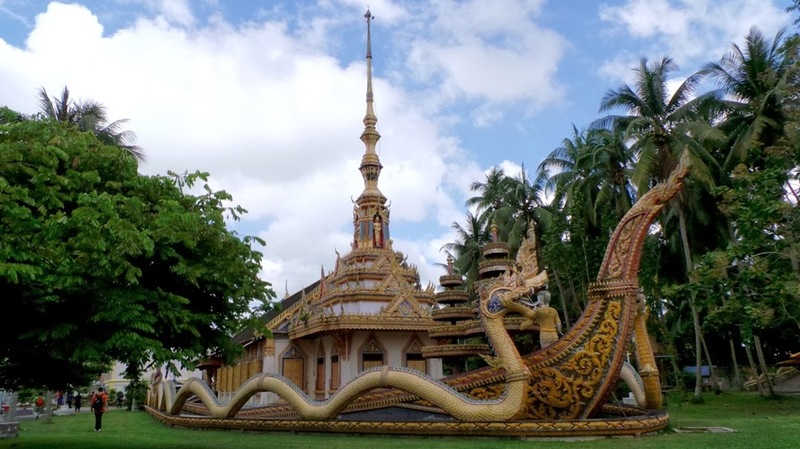 Also known as Wat Maisuwankhiri in Thai, it is when looking at the temples that you really start to notice the influence of the Siamese, being from just across the border. Constructed around 400 years ago, it spreads over 4 hectres and is located in Kampung Bukit Tanah. 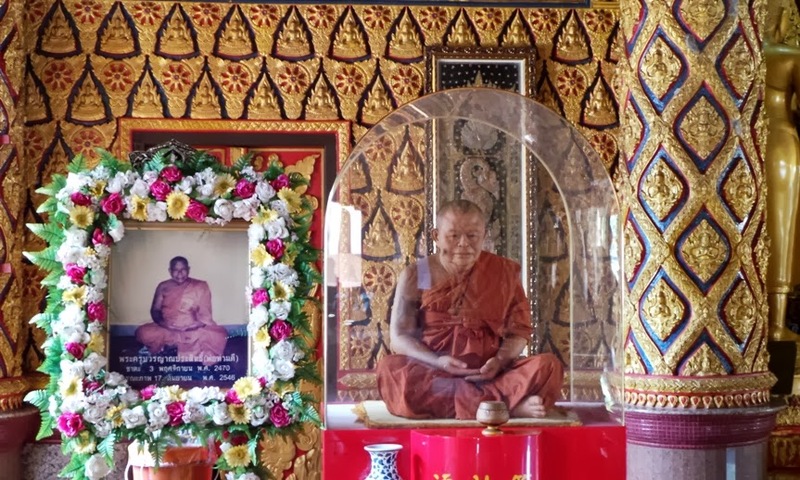 It also houses lifelike sculptures of a monk who passed away and the gold-leaved body of another well-respected monk. 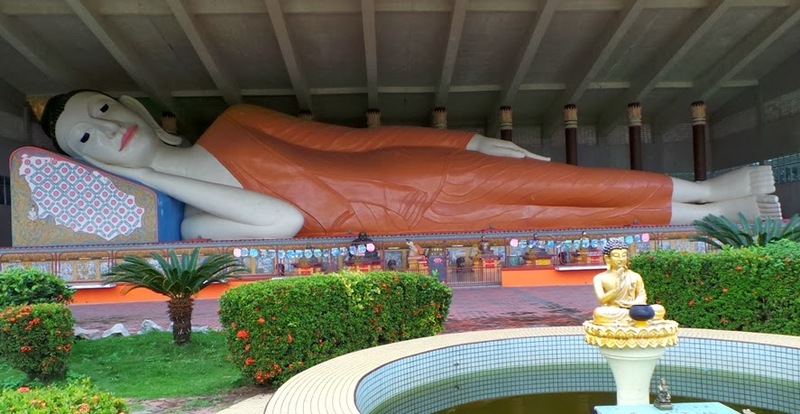 Wat Photivihan houses the largest reclining Buddha statue in Southeast Asia. Coconuts are also available for the thirsty traveller. A mosque that looks like a temple – what? Combining Chinese & Uzbekistan architecture, this unique house of worship symbolises that Islam is for all. A universal religion, regardless of language, culture and ethnicity. 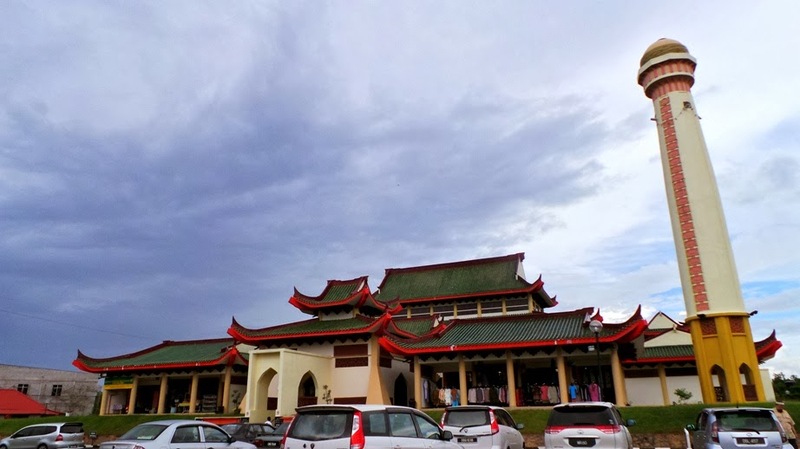 Located along the Kota Bharu – Rantau Panjang highway, visitors wishing to experience the interior of the Beijing Mosque can don the robes (jubah) and head scarfs available at the entrance. Clockwise from Top: This kid has a bright rap future!, The Tok Juara leading the performance, Flexible Dancer was part of the show, Us taking a bow after joining in the performance. 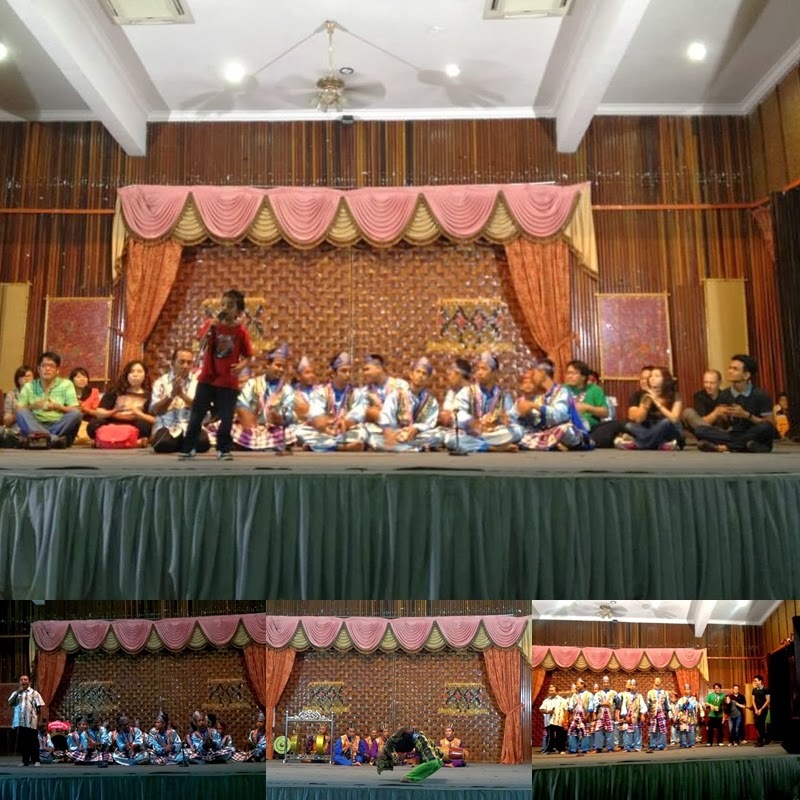 The Kelantan Cultural Centre puts on different shows every other day such as silat performances (martial arts), gasing (spinning top), and what we got to experience, dikir barat. Dikir Barat is a type of musical performance, performed with a few traditional background instruments, and a large group sitting cross-legged on the floor forming a chorus. They are led by a tok juara, who is the master trainer of the group, and who will chant self-written pantuns (poems), usually about current issues and sometimes satirical, while the chorus will chant the words back to him, all the while clapping in unison and performing rhythmic body movements to bring energy to the performance. We got to take part in this performance, and let me tell you – it’s not easy! We were all squirming under our cramping legs, hands feeling numb from all the clapping, and keeping in time with everyone else was just not happening. A really fun experience though! Songket is a handwoven piece of fabric made on an old-fashioned loom, and usually uses gold or silver thread throughout the pattern. This intricately woven fabric has always been a symbol of prestige and wealth, and is mostly worn on special occasions such as weddings or high society dinners. It takes 2 weeks – 6 months to finish a piece, and cost anywhere from RM200 – RM7000 and above! 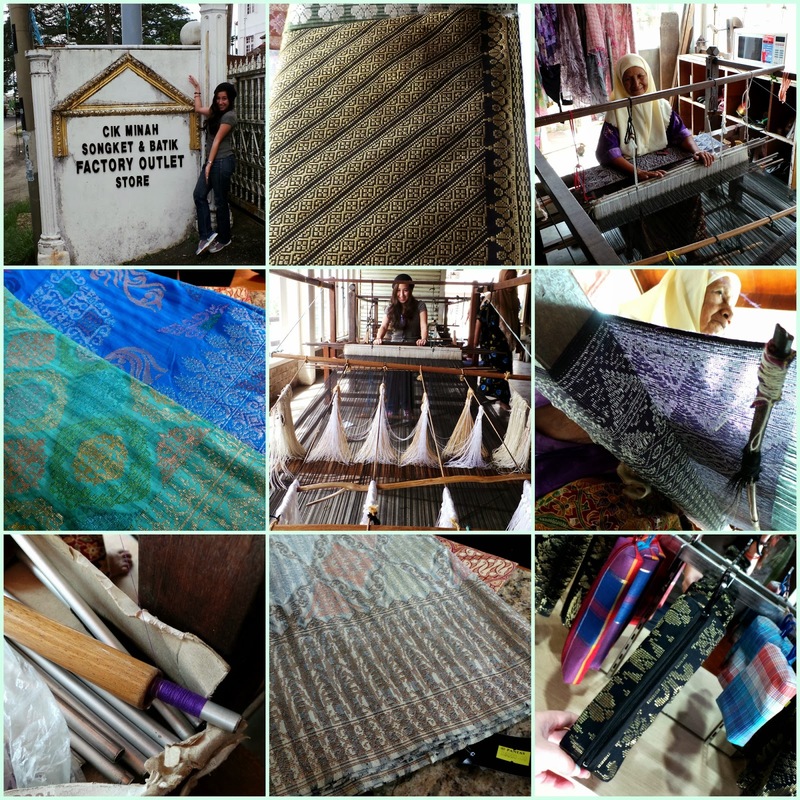 Unfortunately, songket is yet another dying art as not many young people are interested to learn how to weave; the makcik we met is already 86-years old, but don’t get me wrong – she’s still going strong! Clockwise: A half-finished wau outside Pak Shafie's workshop; Wau-making tools; Bamboo wau frames; How the bamboo is tied together; Some can be huge! ; Pak Shafie demonstrating how to make the patterns; Pak Shafie's very quick example, pasted on a contrasting coloured paper; One of the finished designs; Pak Shafie in a traditional Kelantanese wau-flyer pose. A Wau, or Wau Bulan, is a national symbol of Malaysia, and can be seen on the flipside of the old 50 sen coins. It’s another intricate art: the crafting of these uniquely-shaped kites, some a lot bigger in size than a grown man! 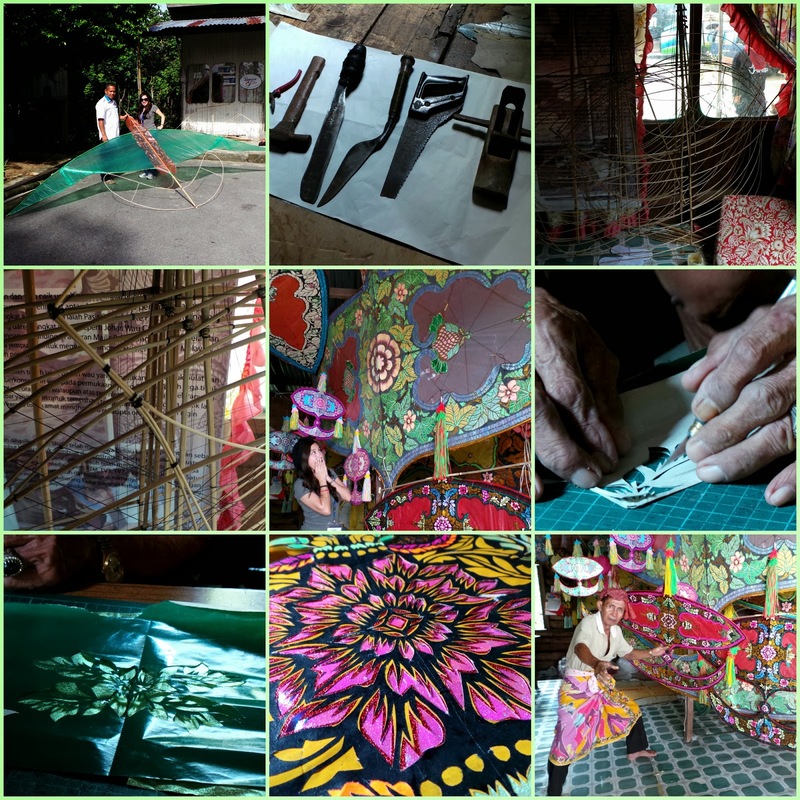 We had the chance to visit Pak Shafie, a wau-maker who has been designing waus in his workshop for decades. From the shaping of the bamboo frame, to the beautiful designs of the wau face, many hours and skilled handiwork have been put into each one. 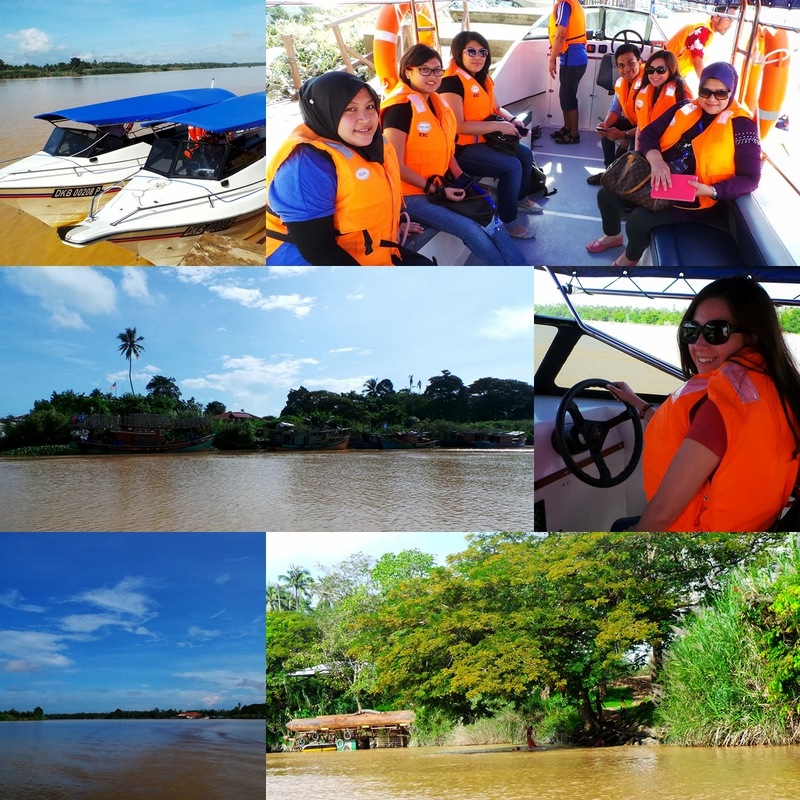 The boat ride along the Kelantan River was fun! The jetty is just next to Warung Pok Mat (see Where To Eat), and is maybe a 10 minute ride til you reach the village. Serunding is basically meat floss, and can be made with either beef, chicken or fish, then mixed with spices before being put into a big “cauldron” (not really, but I’m not sure what the mixer is called haha) to be processed to little powdery bits. Can be eaten alone or as a condiment for other dishes! Batik is a hand-painted fabric, usually colourful and inspired by flora and fauna found around Malaysia. Definitely something fun to do at night, Wakaf Che Yeh opens til gone midnight with an array of stalls selling clothes, food, and other stuff. 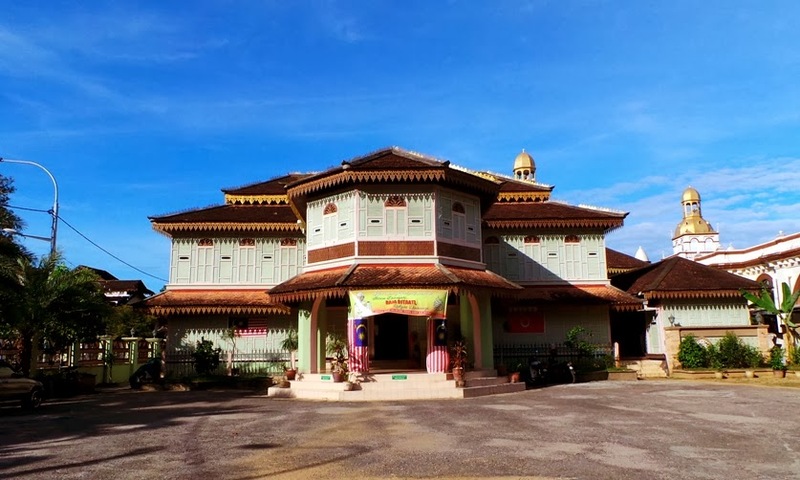 About an hour’s drive from Kota Bharu, Rantau Panjang is where the Thai immigration is – cross a small river and you’re officially in Thailand! The free duty zone is a bargain-happy market, where you can buy clothes, bags and other items. We didn’t explore much since it was raining, but we did get to try Aiskrim Baba: all sorts of jelly, nuts, corn, bread (?!) stuffed into a little cup, then topped with ice cream and sprinkles. Wasn’t too keen on the ice cream covered bread! 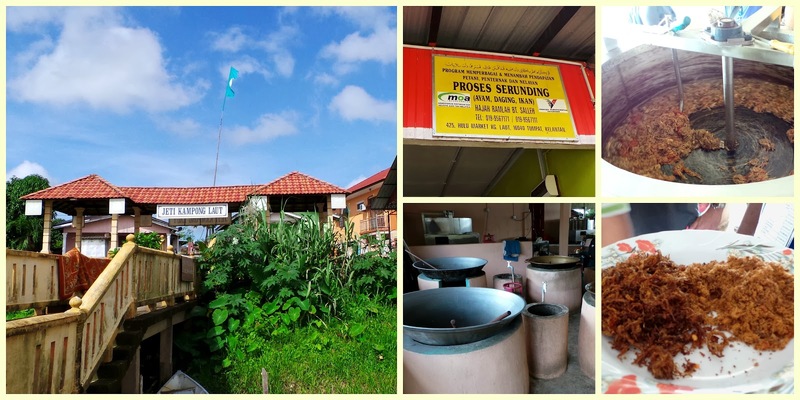 The biggest market in Kota Bharu, Pasar Siti Khadijah sells everything from fresh fish and poultry to beautiful fabric! The centre dome provides sunlight to the whole market, and goods are sold in categories over three floors. Witness how keropok lekor and fish crackers are made, and even sample some before you decide to buy! 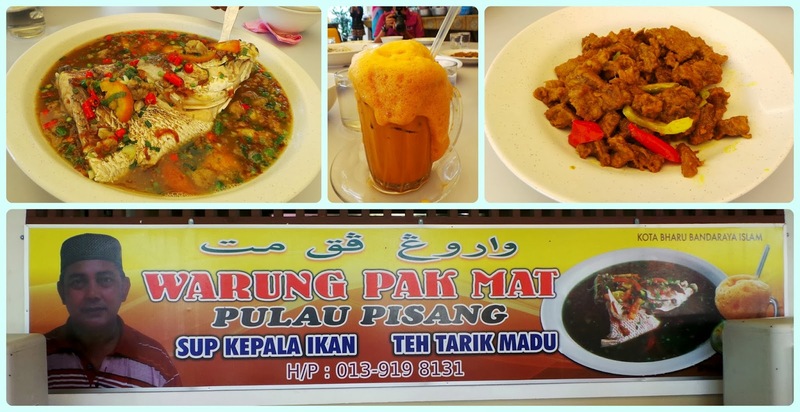 Famed for their Sup Kepala Ikan (fish head soup) and Teh Tarik Madu (honey pulled tea), the owner, Pak Mat has worked hard perfecting the recipe that has been passed down for generations. 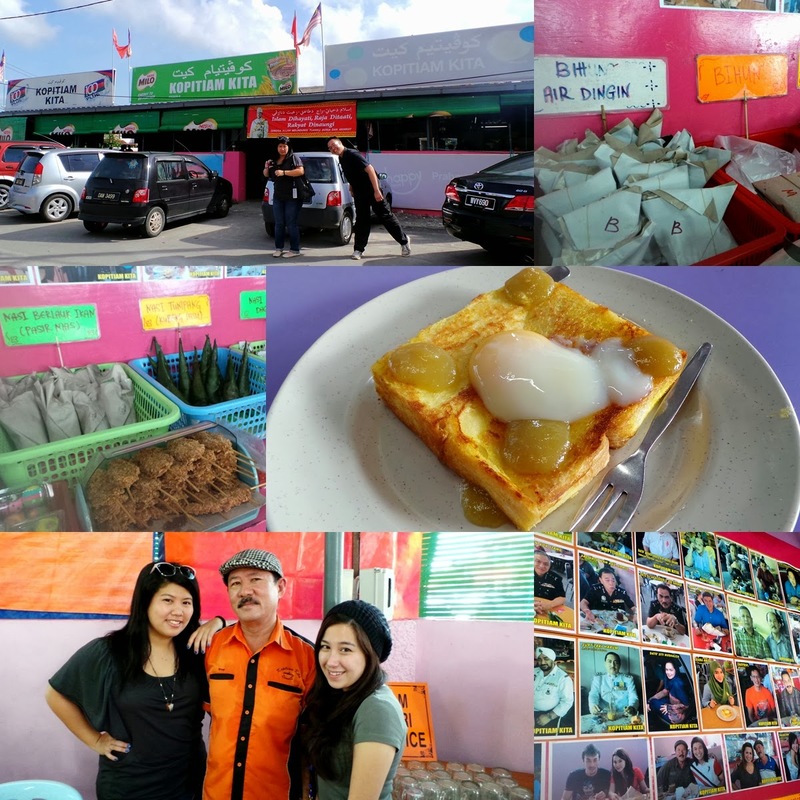 Clockwise: Exterior of Kopitiam Kita; Various bihun; Various nasi; Roti Titab; Char & I with the owner, Mr Wong, Photots of some VIP patrons - including Dato' Siti Nurhaliza! If you’re looking for variety, Kopitiam Kita is by far the best place to go. From rice, to bread, to noodles, there are so many options to choose from! What the majority of people go for though, is their unique Roti Titab: a thick slice of French-toasted bread, with kaya and a runny soft-boiled egg on top. Delicious doesn’t even begin to describe it! 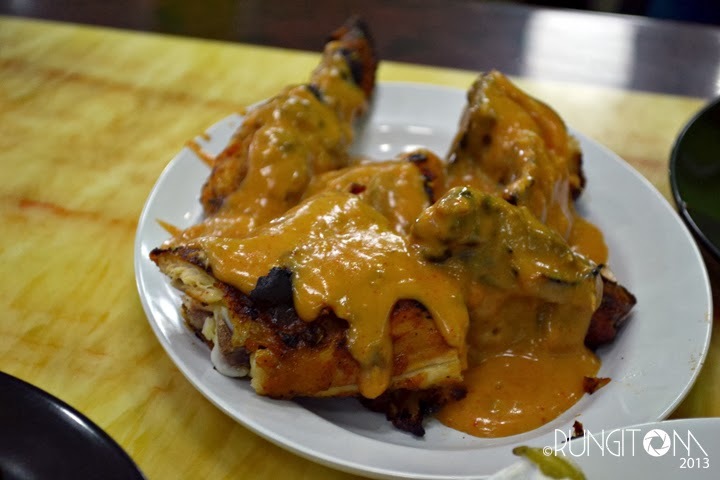 Situated on Jalan Long Yunus, the ayam percik is definitely one of the best in Kelantan! Served with Nasi Kerabu, this charcoal-grilled, marinated chicken will definitely get your taste buds tingling. 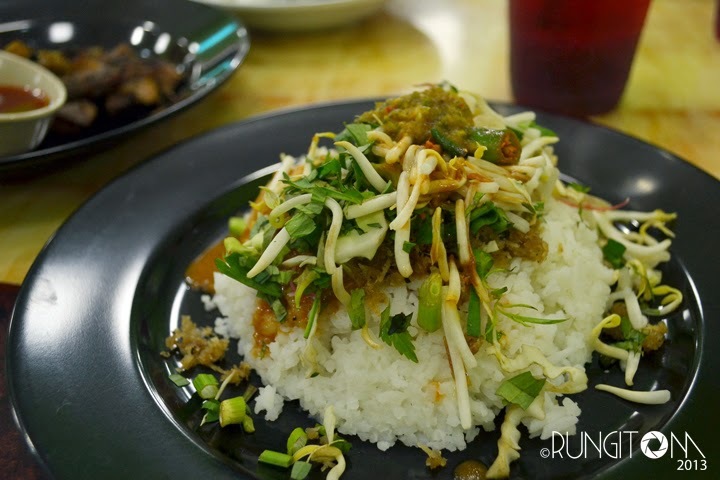 Nasi Kerabu is basically steamed white rice with a special sauce and vegetables on it. They also sell a variety of different kuih here. I’d suggest buying some as, at the time, I was so full I couldn’t be bothered to look, but upon trying some of the ones that Ah Bing bought on the bus, regrets abound! They were SO good. Nasi Ulam is actually steamed white rice with a variety of mainly salad dishes, aka mostly veggie. The main attraction of this dish is the budu, a sauce traditionally made with anchovies, salt and tempoyak (fermented durian). 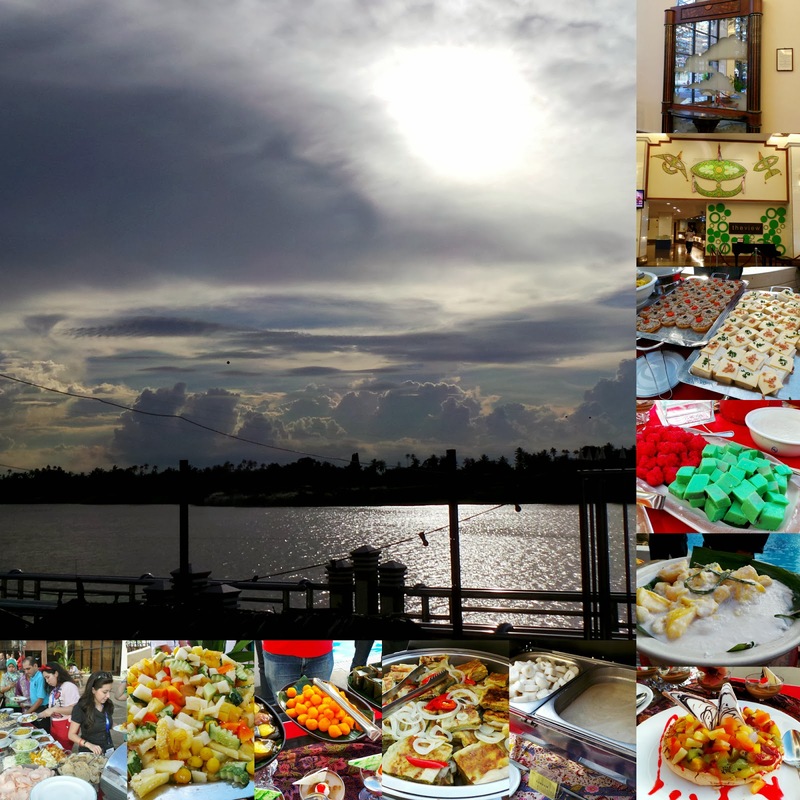 High tea with a view: Our first taste of traditional Malay kuih was set with a backdrop of the sun setting over the Kelantan River. The kuih served are usually very sweet, and not too long ago were only available to the royal family or people of status. Live teh tarik demo behind the array of kuih prepared for us. I have to say my favourite high tea was in Perdana Hotel. The kuih was delicious, variety wide, and the staff was all so friendly! Definitely recommended. 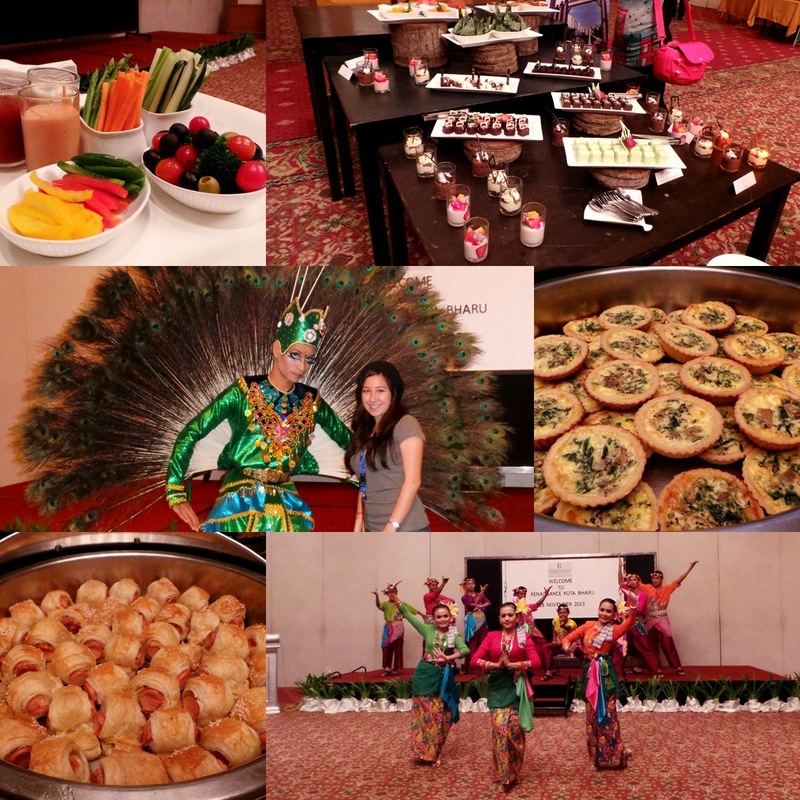 Served in the ballroom, JKKN put on a traditional dance performance while we treated our sweet-toothes with kuih and cakes. Tom and I even got to dance a little with the dancers! My favourite was definitely the peacock dance though – the dance was so elegant, while the costume was just mesmerising! A popular two-storey restaurant for holding functions in Kota Bharu, New Horizon Restaurant is located along Jalan Pasir Mas-Salor. Serving fusion cuisine, I have to say the tom yam is a must try – they definitely learnt how to make this famous Thai dish well! 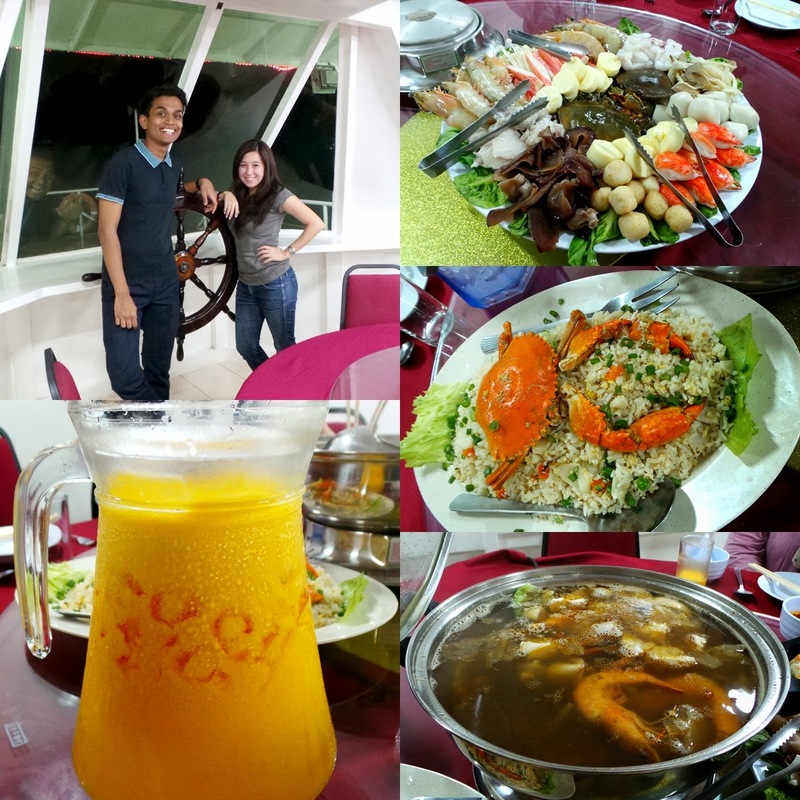 Shaped like a ship, Captain-T serves fresh seafood steamboat in an air-conditioned room with a captain’s wheel! 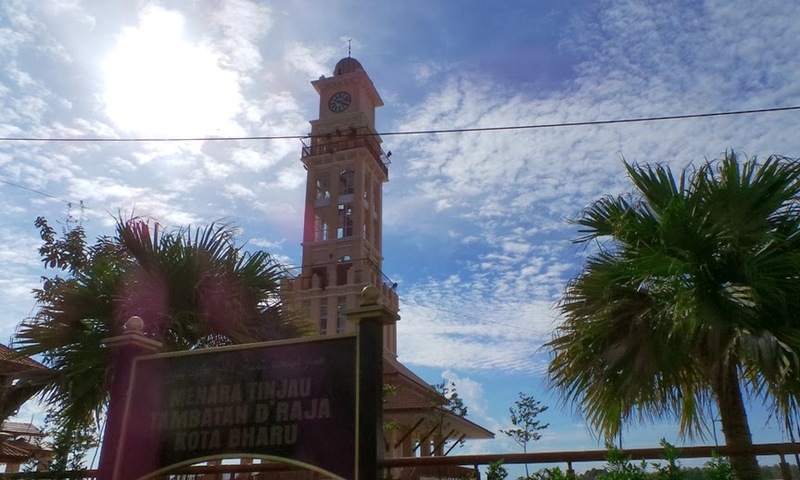 Weather: Like throughout Malaysia, Kota Bharu has a tropical climate, so can be quite humid and sunny, but it also rains throughout the year. Language: Mostly Bahasa Melayu, but it can also be quite different from the way it's spoken in Kuala Lumpur or Sabah, so don't be surprised if you hear words you can't understand, even if you are usually fluent in the language! Electricity: 240V, 3 pin plugs. Air Asia flies directly from Kota Kinabalu, Sabah to Kota Bharu, Kelantan (and back) 3 times a week. You can check flight details at www.airasia.com. 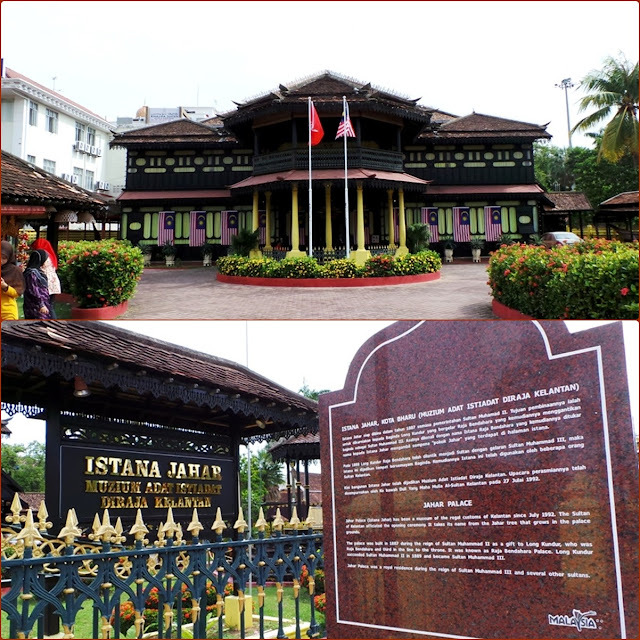 More info: Kelantan Tourism Information Centre or their facebook. 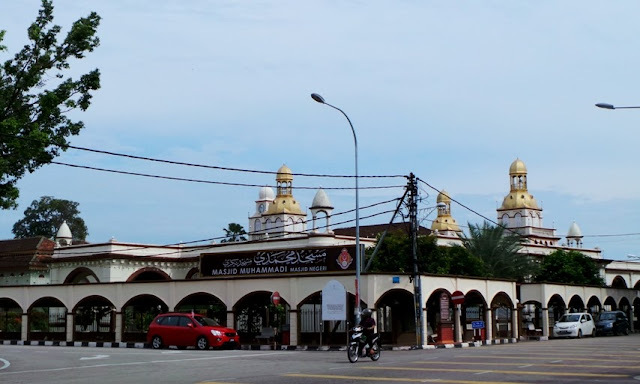 Overall, Kelantan is worth a visit, and a 4 day 3 night trip can pretty much cover all you need to see to get a feel of what Kelantan is really like. 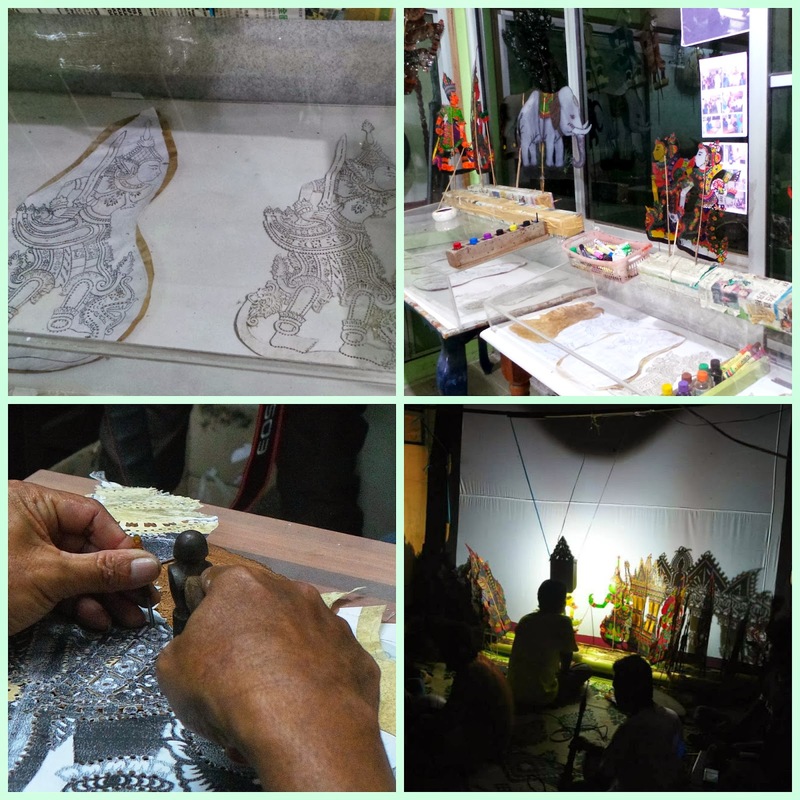 If you have to choose 3 places to really experience, I'd have to say the songket-making demo, wau making demo and wayang kulit are the 3 most unique. 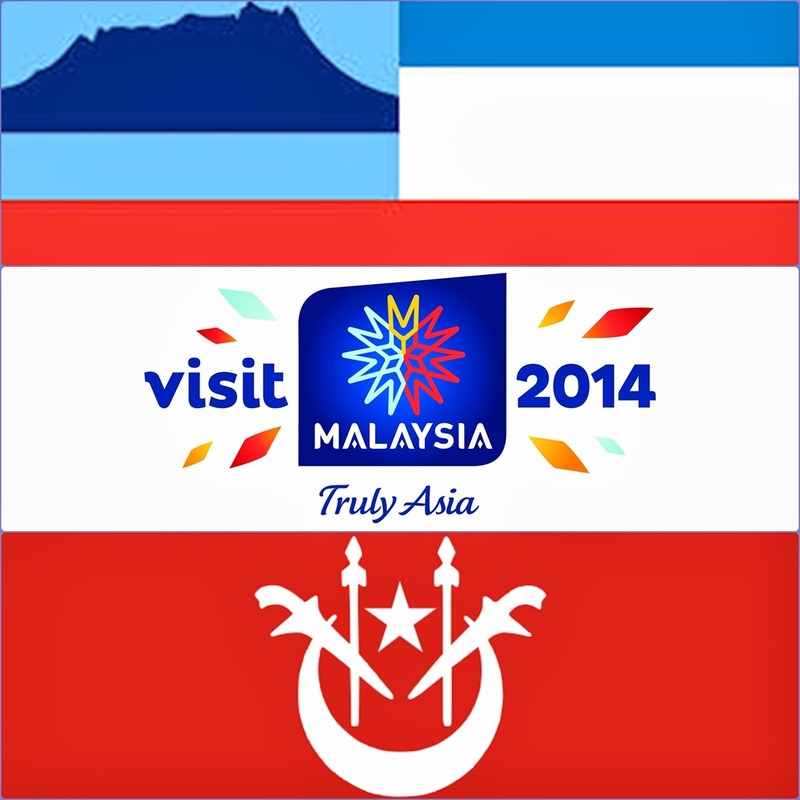 Clean, friendly, and cultural, when doing your rounds of Visit Malaysia 2014, don't miss out on this border-state! 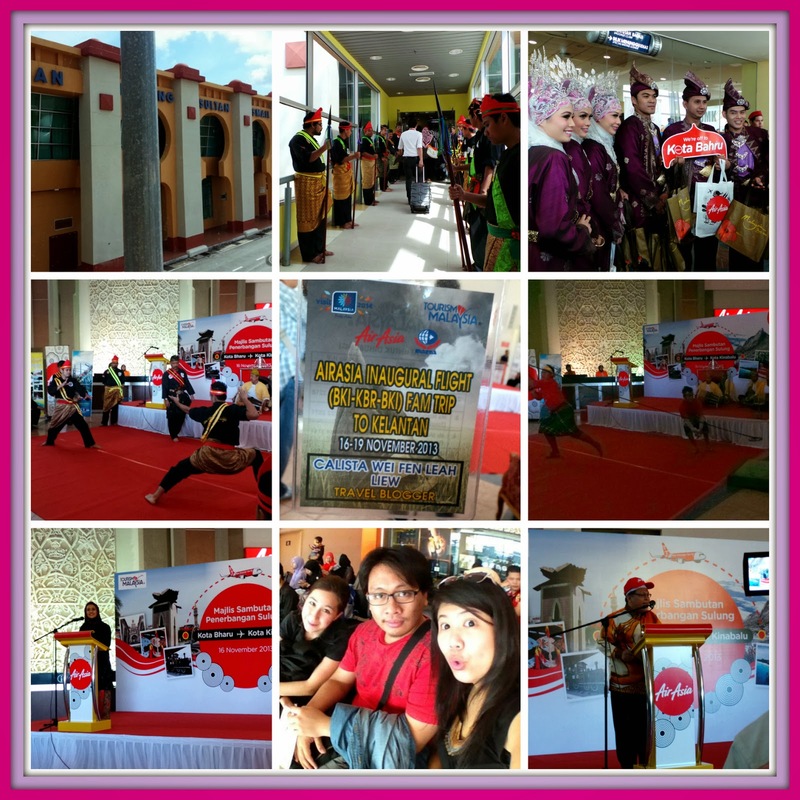 *Big thanks to Air Asia, Kelantan Tourism Board, and MATTA Kelantan for inviting us on such a memorable trip! Also thumbs up and a wave to Mr Saiful, our tour guide who made the trip that much more interesting and hilarious! I'll be taking the cue to utilize my hoodie as face protection from now on! Also, you looks so kewt~ wearing hijab! Every Road Trip Should Be Big On Fun!